organicfoodandliving | a personal experience into the organic sphere! a personal experience into the organic sphere! 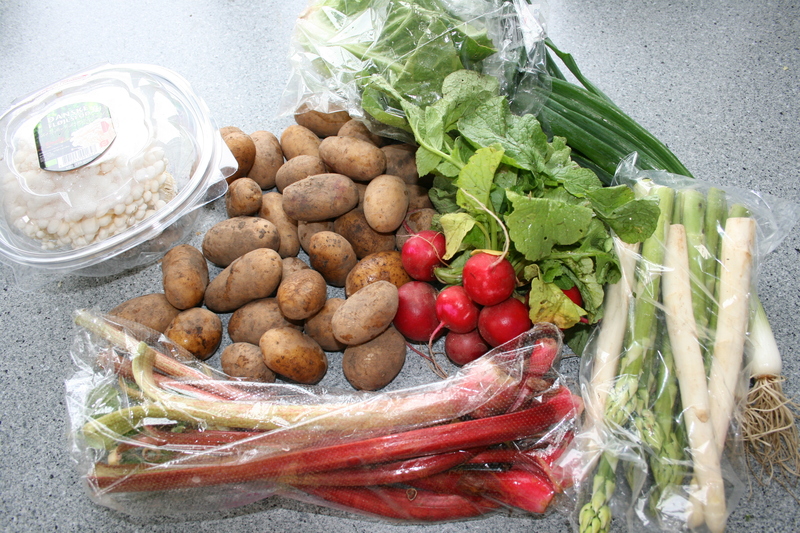 Rhubarb, scallions, potatoes, enoki mushrooms, radishes, romaine lettuce, green and white asparagus. 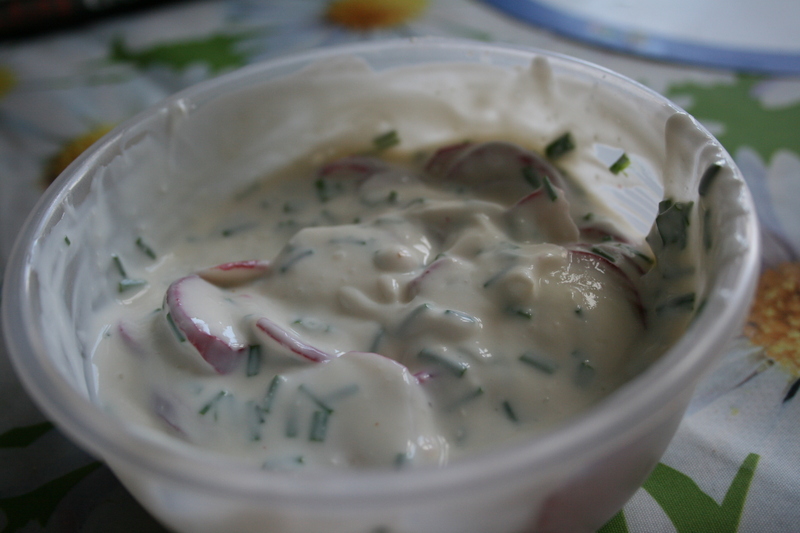 All for only 100 kr! Cooked beetroot (cook until beets are cooked through). Serve with butter and salt. Baked salmon steaks with olive oil, red onions and carrots in a serving dish. approx. 35min in an oven at 250 degrees Celsius. Potatoes and celery also at 250gr for approx. 45 min also baked. You can also choose to eat the cooked beetroot to the main course. The cooked beetroots with the melting butter and salt flakes on top is perfect for children. My son loves these and couldn’t get enough. Remember to always be aware that a large quantity of beetroot colors “waste” red next day. There is no reason for concern. It is also a good idea to notify the children’s institutions, so nobody will needlessly frightened. The sausages is from Hanegal. Absolutely the best sausages. They are so meaty compaired to ordinary that the ordinary ones ought to be ashamed to called themselves sausages. The emperor hats are danish and FRESH – and from KBHff – just like they are supposed to be which makes it great to sautér real quick with apple vinegar cider and rucula leaves. The mash is the same same as always, 50-50.
bright at the top. Plus I was interrupted several times – life as a mother 😉 – during the kneading, therefore they are not the nicest “hveder”. But they are nevertheless delicious! Warm milk, water and butter lightly and stir the yeast into it. Mix together beaten egg, flour, salt and sugar in the liquid yeast and knead the dough thoroughly. Let it raise warm and covered until doubled in size – approx. 30 minutes. Work dough thoroughly again and divide into 12 buns. 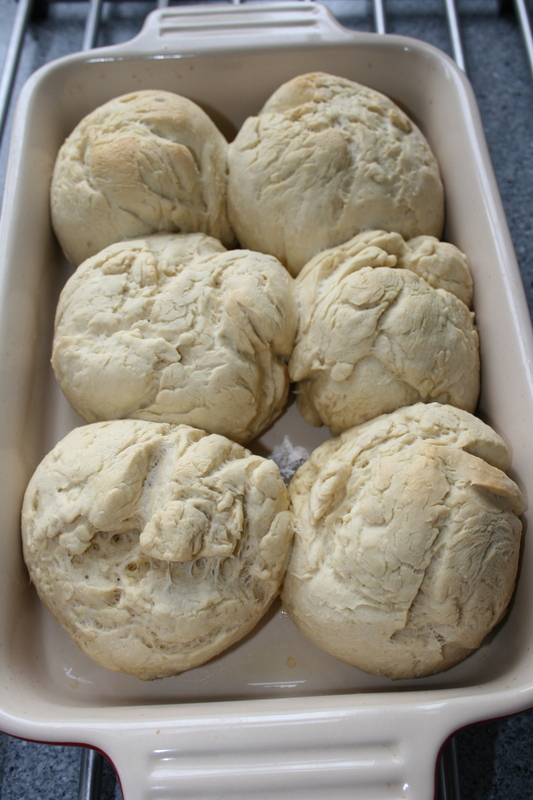 Place them on a baking sheet, rolls should preferably touching each other and let them rise – if possible in the steam over a saucepan of boiling water – in 20 minutes. Brush buns with milk or water and bake at 200 degrees C for 15 to 20 minutes. Split and toasted before being eaten. Mix the ingredients carefully. Serve on rye bread. 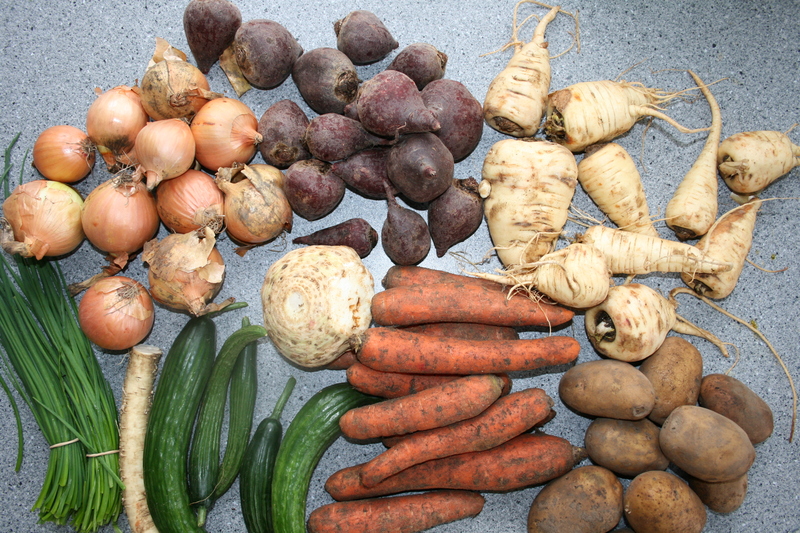 Yellow onions, beetroot, celery, cucumber, carrots, potatoes, chives, horseradish and parsley root – all for 100kr! Brilliant! !